L’errant sans tête est un recueil de poèmes d’amour et de mort, aux lumineuses métaphores qui attirent le lecteur autant par leur ironie que leur aspect méditatif souvent inspiré de lectures ou de voyages à travers le monde. 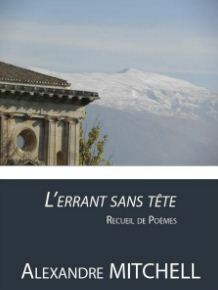 Cette anthologie de poèmes écrits sur une période de vingt ans en français par le romancier et archéologue Alexandre Mitchell sont publiés ici pour la toute première fois. 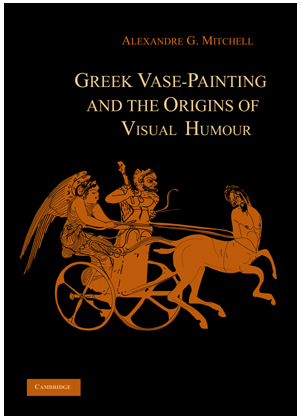 This book is a comprehensive study of visual humour in ancient Greece, with special emphasis on works created in Athens and Boeotia. Alexandre Mitchell brings an interdisciplinary approach to this topic, combining theories and methods of art history, archaeology, and classics with the anthropology of humour, and thereby establishing new ways of looking at art and visual humour in particular. Understanding what visual humour was to the ancients and how it functioned as a tool of social cohesion is only one facet of this study. Mitchell also focuses on the social truths that his study of humour unveils: democracy and freedom of expression, politics and religion, Greek vases and trends in fashion, market-driven production, proper and improper behaviour, popular versus elite culture, carnival in situ, and the place of women, foreigners, workers, and labourers within the Greek city. Richly illustrated with more than 140 drawings and photographs, as well as with analytical tables of comic representations according to different themes, painters, and techniques, this study amply documents the comic representations that formed an important part of ancient Greek visual language from the 6th through 4th centuries BC.